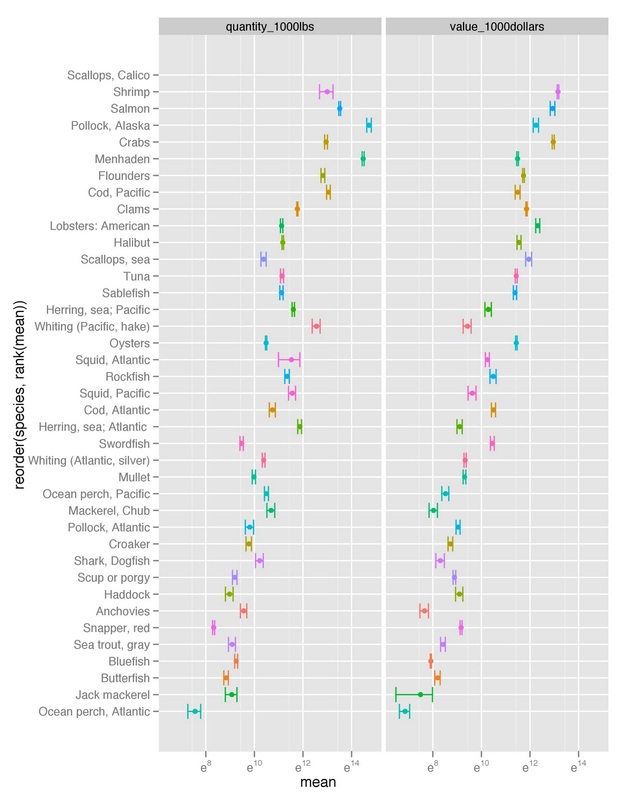 I recently gathered fish harvest data from the U.S. National Oceanic and Atmospheric Administarion (NOAA), which I downloaded from Infochimps. The data is fish harvest by weight and value, by species for 21 years, from 1985 to 2005. Here is a link to a google document of the data I used below. I had to do some minor pocessing in Excel first; thus the link to this data.